Many of us are too preoccupied by our digital worlds to realize that, in actual fact, many billions of people across the world don’t even have access to the Internet. An initiative by Internet.org hopes to stem this rather outrageous tide, and social company Facebook is a well-known backer of the cause. 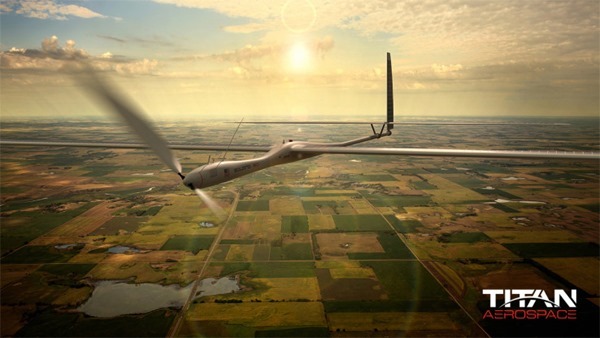 In an attempt to further its efforts to spread the Internet beyond the developed world in which it is most prominent, the Menlo Park-based firm is said to be in talks to acquire Titan Aerospace, a company that creates solar-powered drones capable of flying for five years straight, and according to a report over at TechCrunch, the deal is said to be in the region of $60 million. These drones offer all kinds of advantages, including the ability monitor weather and aid in recovery after disaster has struck, but their main use – in communication – is likely the key motive behind Facebook’s purchase. The drones would, as report continues, roll out to Africa initially, with several thousand units of the “Solara 60” and “Solara 50” models being built to cover the developing continent. We’ve seen many initiatives try and fail to bring the Internet and digital technologies to the poorer of the world’s nations, but with the backing of a superpower like Facebook, which appears to be taking a pro-active role in improving the current state of play, there’s a good chance that the Titan Aerospace purchase could play a key role in the future of the Web. The the type of solar satellites Titan produces are almost as capable as your more traditional, orbital satellites, but are a lot more versatile, and notably, a great deal cheaper to manufacture and implement. The Solara 50 and 60 can both remain up to 20km above sea level for five years without needing to land, with solar energy keeping the internal battery pack sufficiently topped up for that duration. From there, they could potentially play a pivotal role in facilitating local Internet systems, and since they’re cheap, the expansion could happen a lot more quickly than any other such infrastructure attempted in the past. With Facebook having recently ploughed $19 billion into acquiring WhatsApp, the $60 million investment seems comparatively small. However, one cannot downplay the potential significance of this purchase, and if everything should go to plan, Facebook and Titan Aerospace’s collaborative efforts could begin to help the other five billion gain access to the Internet.